Launched in 2003, Asia Australia Mental Health is a consortium of St. Vincent’s Health and the University of Melbourne’s Department of Psychiatry and Asialink. St. Vincent’s Mental Health’s internationally recognised excellence and expertise in mental health service delivery provide best-practice examples of direct patient-centred care. St. Vincent’s staff work with overseas colleagues delivering training on campus and in the region. AAMH programs contribute to the WHO Collaborating Centre for Research and Training in Mental Health, Melbourne. Australian government, peak professional bodies, NGO’s and exceptional mental health leaders to support programming and its implementation in Australia and the region. Inter-governmental bodies such as WHO, CHOGM, APEC to further the mental health agendas at Ministerial levels globally. Asia Pacific mental health leaders and Ministries of Health. AAMH works with the mental health leadership of governments, academic institutions and peak professional bodies in the Asia Pacific region to find context appropriate solutions to the growing global epidemic of mental illness. 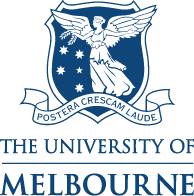 Led by the University of Melbourne’s Department of Psychiatry, AAMH collaborates with mental health research institutes and leading researchers in the region and globally, lead discovery of new understandings of the causes of mental illness, build research capacity and explore innovative approaches to diagnosis, management and treatment. AAMH consults to intergovernmental bodies and regularly publishes in peer reviewed journals. Collaborations between colleagues from different cultures and perspectives often provide the most creative and constructive solutions to global problems. People to people links between Australian researchers and mental health service leaders in the Asia Pacific region are robust and longstanding. Since the late 1990s, AAMH have been working throughout the Asia Pacific region. From humble beginnings, AAMH has worked closely with a rapidly developing China; early bilateral training programs with Thailand, Korea and Malaysia; to the establishment in 2005 of a network of leaders in mental health from across the Asia Pacific. Today, AAMH is proud to support a growing program of work in China; large programs with partners in India, Japan, and the Pacific; with growing programs in Indonesia and the Sub-Mekong.